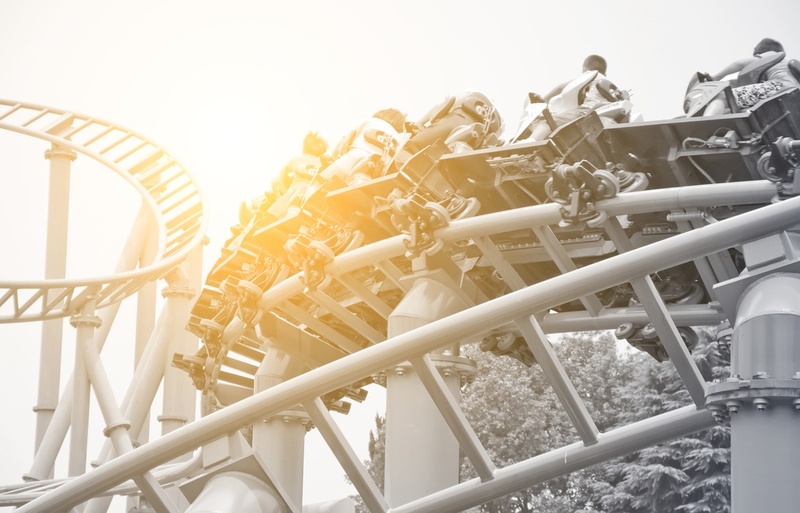 Without direction control valves you would not be able to enjoy the highs and lows of your favourite rollercoaster. How can a simple device such as a direction control valve have such a big impact upon everyday life? You would be surprised to learn where you will find them. Sometimes the most useful engineering products remain out of sight and in many instances you don’t even know they are there. Imagine yourself sitting in a roller coaster, waiting for the operator to press the button or pull the lever to start the ride. 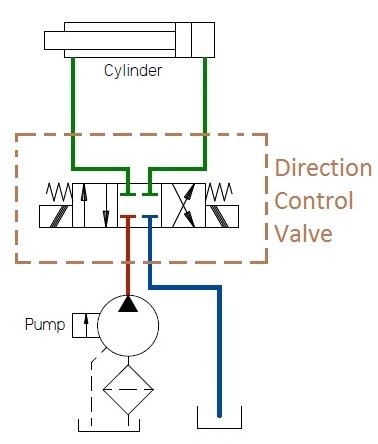 In technical terms, you are waiting for him to actuate a DCV (Direction control valve). Yes, new tech roller coasters work on hydraulic systems to gain quick acceleration. A very good example is the Top Hill Dragster which gains 120Mph in 4 seconds. 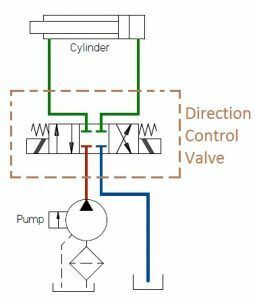 In a hydraulic system, the motion of the actuator is controlled by a small element known as the “direction control valve (DCV)”. The purpose of this article is to make you aware of the parameters which play a major role in the selection of the DCV and can serve as your best friend while making a purchase. The number of ports depends upon the application for which the DCV is being used. Every DCV has at least 2 ports – the pump port and tank port. 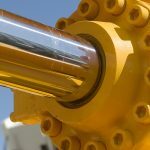 A single acting hydraulic cylinder has only 1 inlet port and hence it needs only one connection from a DCV. So in all single acting cylinder applications a 3 port DCV will do the job. Similarly a double acting cylinder will demand 2 ports connected to the DCV and hence, one should buy a 4 port DCV. The number of positions associated with a DCV depends upon at which points the cylinder needs to stop. If you want the cylinder to stop at either end only, a 2 position DCV will serve the purpose. 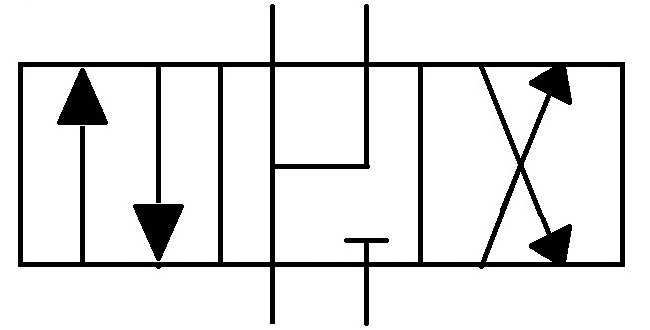 To stop the cylinder at any intermediate position, one more neutral position is required as shown in the figure below. The neutral position is a very important part of the criteria when selecting a DCV – hydraulic engineers will invest considerable time to ensure they select the best DCV for the job. 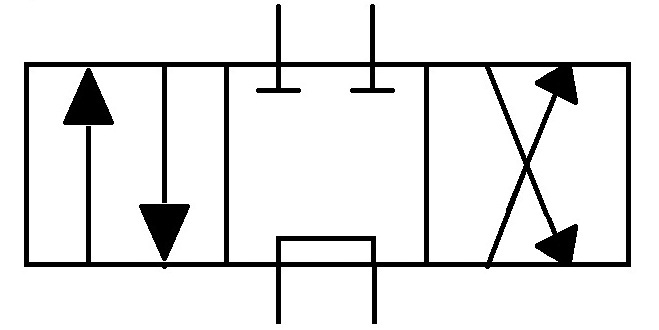 Actuator holds the position firmly when DCV is shifted in neutral. This can be used for clamping purpose. Complete power can be used to run another system in parallel. Due to the blocked path, pump runs at max pressure and complete flow returns to tank via Pressure relief valve. This waste in energy heats up the fluid and hence, fluid becomes less viscous, leading to more leakage + less capability to lubricate and hence more internal wear. Actuator holds the position firmly. Pump is relieved as it is directly connected to tank. Multiple systems cannot work with the same powerpack as fluid will always prefer the path of minimum resistance and hence will return to the tank instead of going into another system. Cylinder can move freely along the axis. Cannot be used for clamping purpose. A & B and P & T connected. This neutral is used for hydraulic motors to prevent sudden jerk shifted to neutral. Rotor will continue rotating for some time even after shifting to neutral. 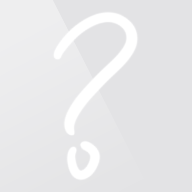 Cannot be used for linear actuators. “why not?” Give me your thoughts in comment. P A and B connected. Return flow will add up with pump flow and hence velocity will increase drastically. Force will be proportional to the rod area as pressure will be same on both sides. A DCV can be actuated by manually shifting the lever or foot pedal. This reduces the cost of each DCV drastically and is mostly used for intermittent application. 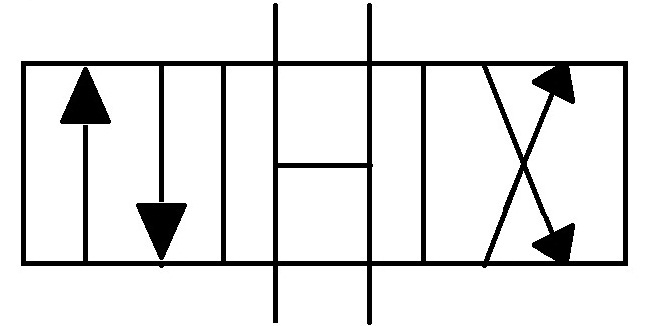 The force required to actuate a DCV increases with the pressure and hence it is not advisable to use this system above 100-150bar. Magnetic force can be generated by passing a current through an electric coil. This force will push the armature into the coil which in turn actuates the DCV. Solenoids can be controlled by logic controllers and from a remote location hence it is used by all of the major industries. However, solenoids cannot generate high forces and for high pressure hydraulic circuits they are generally used with small pilot DCVs which in turn will actuate a larger DCV. The flow rate is controlled by the upward/downward motion of the poppet. Poppet is connected with a sphere/disk at the bottom and as the poppet moves upward, the gap between poppet and seat increases and hence, flow rate increases. 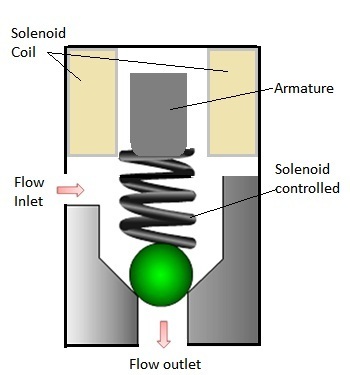 Actuation force depends upon the system pressure and hence actuation is controlled by solenoids. Pros: Cheap, no leakage, long life, any flow rate between min to max value is possible. Cons: Actuation force is proportional to pressure hence they are used for low pressure systems. 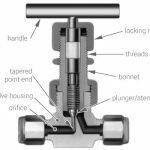 Spool valves are constructed with a spool moving horizontally within the valve. It can deal with a flow rate of 150ltr/min and up to 350bar pressure. Pros: Balanced forces in the valve. Can allow very high flow rate. Cons: Leakage due to the clearance between spool and valve body (3 to 15 micron). Costly due to precise manufacturing of the internal bore and spool. About why A&B and P&T connected DCV cannot be used for linear actuators,I think this valve can not provide break force.When it shifted to neutral ,the load will put linear actuators go back.Is that right? What is Rilsan and what is it used for?